Lawmakers gave second-round approval April 9 to a bill intended to assist counties facing costs from correctional institution incidents. LB861, introduced by Syracuse Sen. Dan Watermeier, would require the state to pay a county’s prosecution costs that arise from a single correctional institution incident—defined as one in which a crime is allegedly committed by one or more inmates confined in a state correctional institution—if it exceeds the threshold amount for the county. Under the bill, the threshold amount is the amount of property tax revenue raised by the county from a levy of 2.5 cents per $100 of taxable valuation of property subject to the levy. The threshold amount would be determined using valuations for the year in which the correctional institution incident occurred. Costs of prosecution would include, but not be limited to, the costs of defense for indigent defendants, such as attorney and expert witness fees. Watermeier offered an amendment on select file, adopted 36-0, which clarified that the risk management division of the state Department of Administrative Services would have the power to receive and investigate claims under the bill’s provisions. The amendment also struck from the bill provisions of LB883, originally introduced by Omaha Sen. Burke Harr, which were amended into LB861 during general file debate. 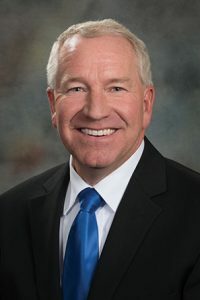 The provisions outlined a process by which the Nebraska attorney general could request that a district court appoint an independent counsel in a case where there is a perceived personal or ethical conflict in the prosecution of an alleged crime. Following adoption of the Watermeier amendment, the bill was advanced to final reading by voice vote.